play and has tutored several celebrated goalies, who have gone on to play at the next level. kids of all ages and looks forward to sharing her love of the game. All players must have current US Lacrosse insurance coverage. Small Sized Teams: We field smaller roster teams to offer as much playing time for each participating player. 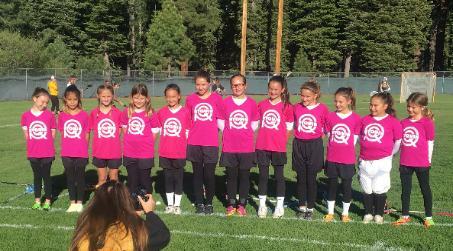 We will attend the Laxin' Tahoe tournament only if Ryquin fields a full Tahoe Summit Team(s). Teams must meet their minimum roster numbers to register into a tournament. grow as a player and build a solid team for competition. high altitude fields of Tahoe. Don't miss out, REGISTER TODAY.